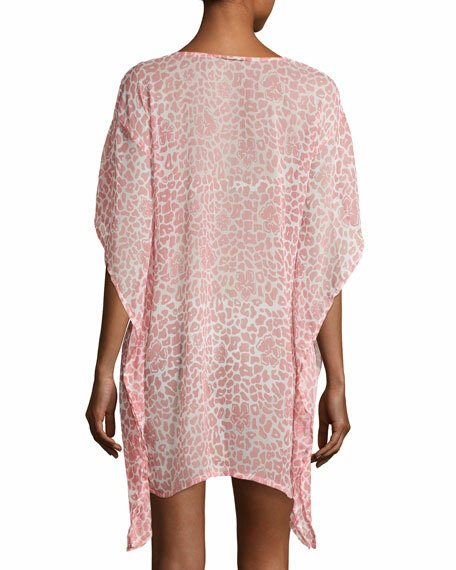 Letarte sheer caftan coverup with lily and leopard print. Three-quarter butterfly. sleeves; dropped shoulders. For in-store inquiries, use sku #2190135.